In late 2015 I wrote a piece describing my top 5 fishing destinations. If you scroll to the bottom, you will see that I mentioned Alaska in the “Notable Omissions” section. 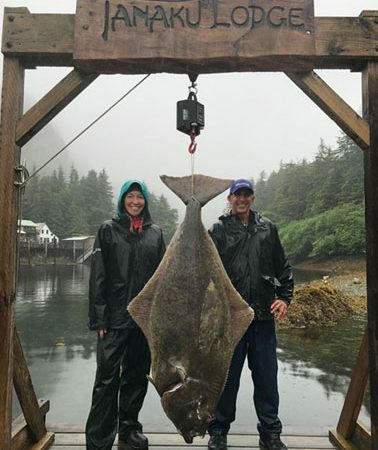 I do a lot of destination fishing travel, but for whatever reason Alaska had eluded me. Well, finally got there a couple of weeks ago. Before I share my experience, understand that I paid my way just like anyone else and the lodge owners and staff treated me the same as all their other guests. They certainly had no idea I would be writing a review. Northeast Angling is a long way from Alaska and any notoriety I might have was left behind in NY. Tanaku Lodge is located in Elfin Cove on the Northwest corner of Chicagof Island in Southwest Alaska. It is a 35-40 minute float plane ride from Juneau, Alaska. 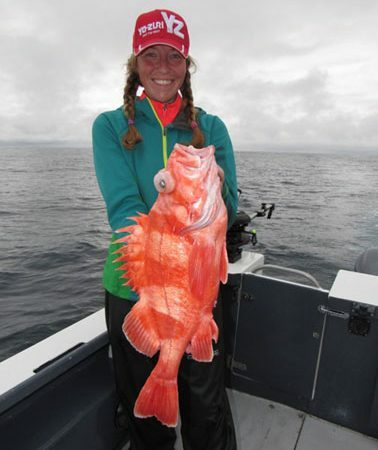 The location is just a few miles from the ocean and perfectly situated to fish the “inside” more protected waters. No matter what the wind, there is somewhere to hide (and fish). The lodge itself can only be described as “stunning”. Incredible views, hot tub, home-cooked meals, five-star service, private baths, and too much more to describe here. It was as good, or better, than ANY other lodge I have ever stayed in. The boats are well maintained and you can either opt for ultra-comfort or a bit more speed. The extra comfort is certainly welcome when the conditions are less than perfect. The faster boats are nicely suited for the more hard-core anglers, but still offer reasonable comfort. Each boat has a captain and a mate. We fished with two different crews during our five days and they were both exceptional. Special thanks to captains Joe Calandra and Garry Broce and mates Dan Fry and Caleb LeClaire. I spoke with the other guests and they raved about all the other captains and crews. Despite the fact it is grueling season, the crew and staff morale was very high. The Meier and Benton families are deeply involved in the day-to-day and are an ultra-professional management team. 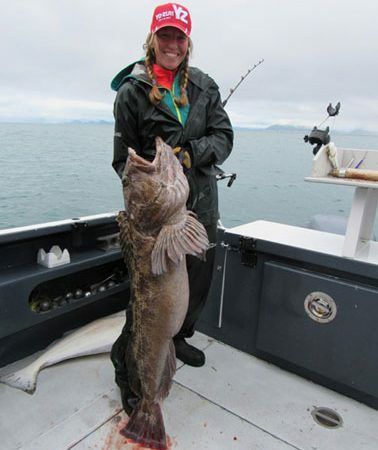 The three major targeted species are salmon (king, coho, pink, and chum), halibut, and rockfish. The salmon are typically trolled or jigged, but can also be targeted on flies and lures. 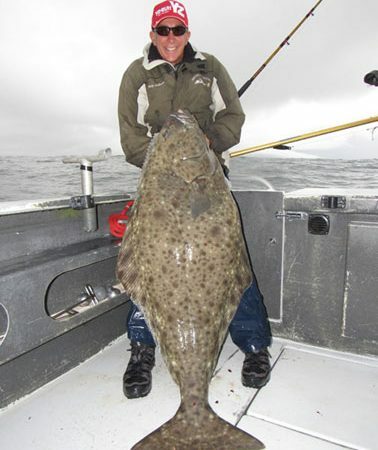 The halibut and rockfish are either baited or jigged. Visit the Lodge Fishing page to see the best times for the species of your choice. 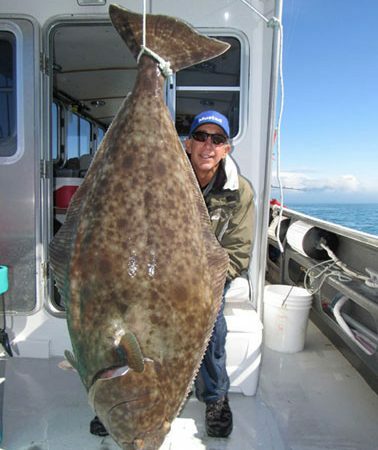 We went their specifically to target big halibut. We spent some time salmon fishing and chasing rockfish and the action was non-stop. 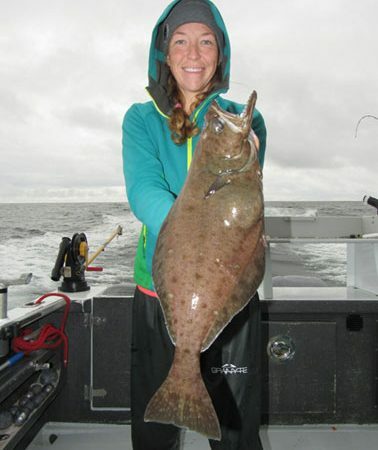 We spent the rest of our time going for halibut and were thrilled with both the size of the fish and the quantity. 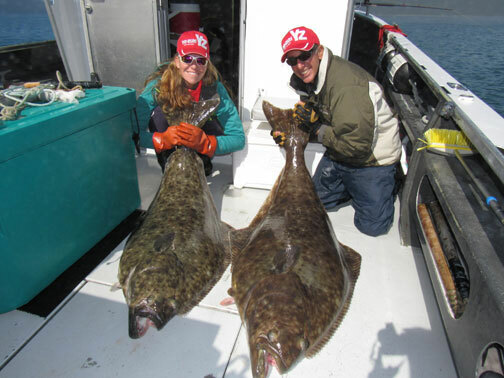 If five days we had too many halibut to count with 10 fish over 100lbs and a 160, 180, and 190lb halibut (all released). On the last day, some of the anglers on our boat were too tired to fight any more fish! Like the lodge, the bite was as good, or better, than anywhere else we have fished. We recommend traveling very light (carry-on, more on that below). Unless you are fly fishing, leave all your tackle home. All the boats have everything you might need. The rods, reels, lines, and terminal tackle met my personal ridiculously high standards. If you are thinking about bringing your own gear, reach out to the lodge first. The lodge provides boots and skins. The only gear we brought were our Black Magic fighting belts. 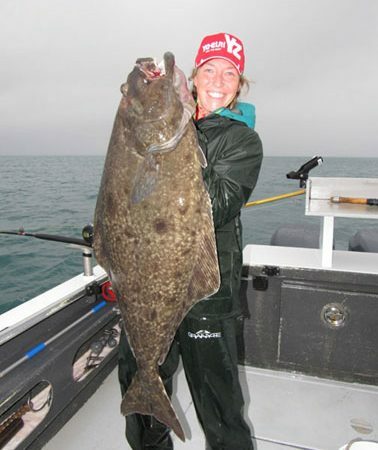 The boats have simple belts, but if you are going to pound on big halibut, you may want to bring your own. 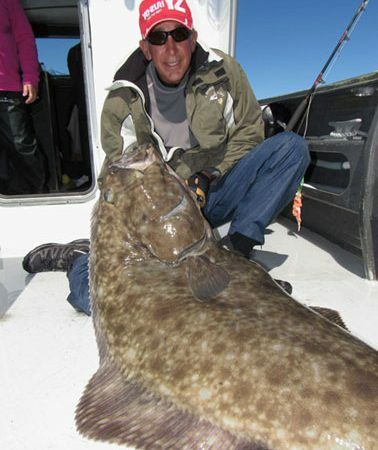 If you end up fighting a 100lb+ halibut in a screaming tide, you will want your favorite belt. The only thing that upstages the incredible scenery (mountains, glaciers, waterfalls, and more) is the wildlife. If you have never seen a bald eagle before, you will be amazed at how large and majestic they are. You can see them right from the lodge (along with a view of the glacier). While on the water you can see bears on the beaches, killer whales, humpbacks, sea lions, and countless sea otters. Bring a good camera with a zoom and you can bring home a pile of memorable wildlife photos. Despite the somewhat complex regulations, you will probably land many more fish than you could ever manage to bring home. Your catch is cleaned and dockside and then professionally packaged, frozen, labelled, and boxed. Travel with only carry-on (laundry available in the lodge) and bring back one or more 50-lb boxes of fish. Your family and friends will love you forever. Would I Go Back to Tanaku Lodge? Not only would I go back, but we plan on making this one of my regular annual trips along with Galapagos (marlin and yellowfin tuna) and Prince Edward Island (giant bluefin tuna). 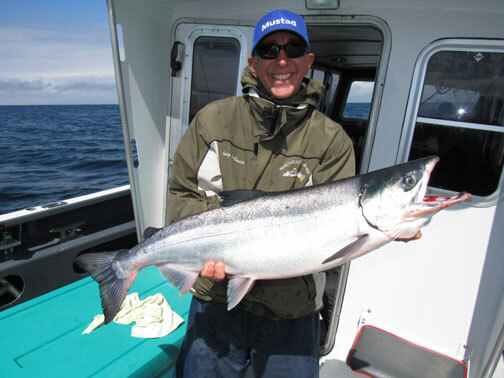 The price is in-line or much less than most other 5-day destination trips, the fishing is equal to the best, the accommodations are perfect, and it is relatively easy to get there. Feel free to contact the lodge for more information or reach out directly to us if you want more third-party observations. 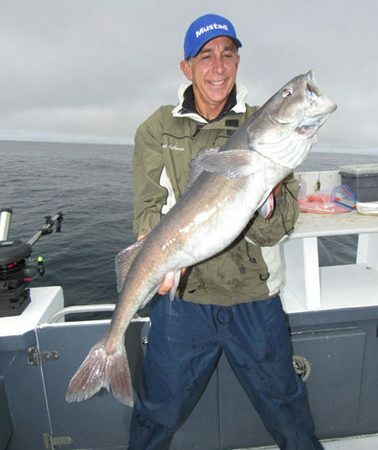 This trip is suitable for ANY level of angling skill and also suitable for fishing families.